Roaming the temperate forests of eastern Russia, Amur leopards’ main prey species are roe and sika deers, small wild boars, hares, badgers and raccoon dogs. Powerful predators, the Amur leopard has been reported to leap more than 19 feet horizontally and over nine feet vertically. 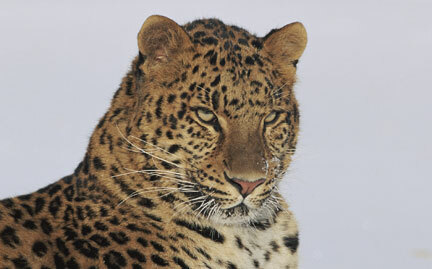 Due to habitat loss and poaching, the Amur leopard is critically endangered—only 84 individuals are thought to exist.